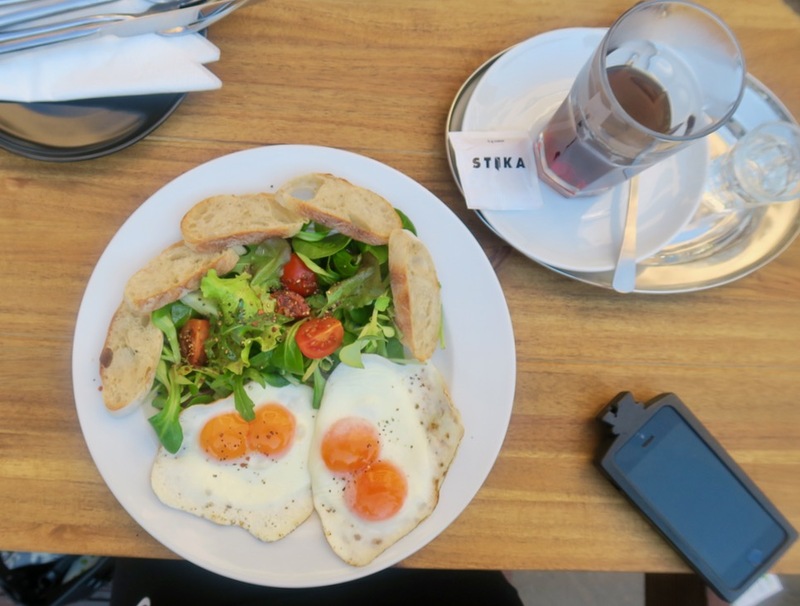 A tiny hole in the wall restaurant tucked down an alleyway that serves up breakfast all day. With only a few tables and huge popularity expect a pretty long wait to dine here. 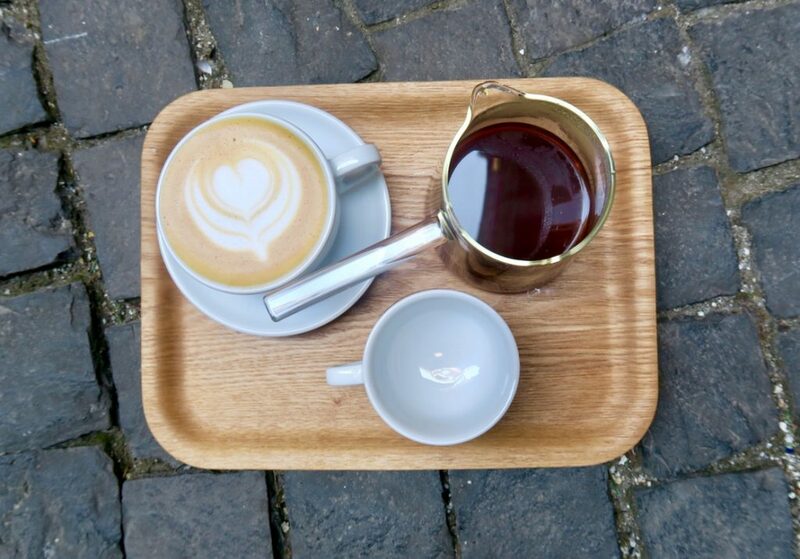 My advice whilst queuing: grab a drink from sister artisan coffee house, Kontakt, directly across the street, sit and take in the laid back atmosphere. The menu is small and there are no substitutions because each dish is carefully thought out, and presented beautifully. These guys take real pride in what they do and they do it incredibly well. 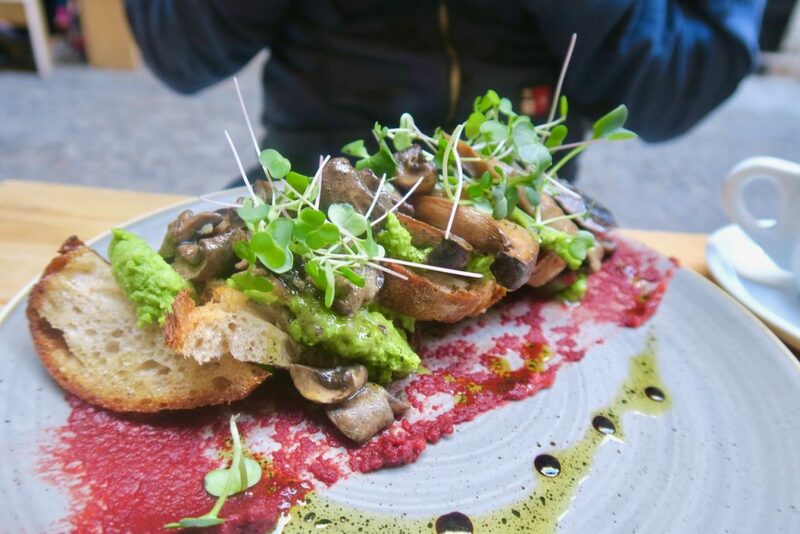 A small friendly cafe offering up simply great vegan food. With the support of her husband Greta took her online cooking tutorials and turned them into a reality. I popped in here for breakfast solo and could not have felt more welcome. 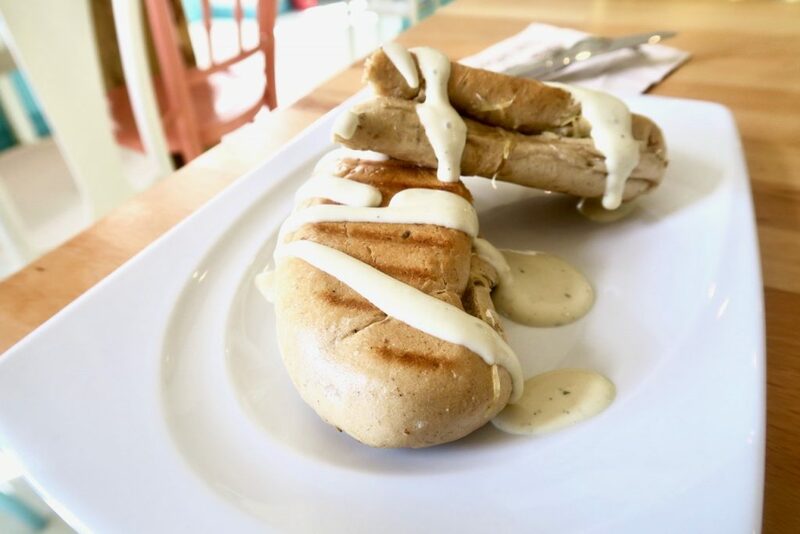 I ordered a strong coffee and the “bacon” sandwich; the bland looking sandwich smeared with vegan mayonnaise was deceptively packed with flavour. I was especially impressed with the bacon substitute – and I was not the only one. As the couple behind me paid they asked where the cafe purchased their ‘facon’ from, the answer of course was that it is made in house. The smoky flavour and crisp texture was incredible and definitely a sandwich I would recommend. 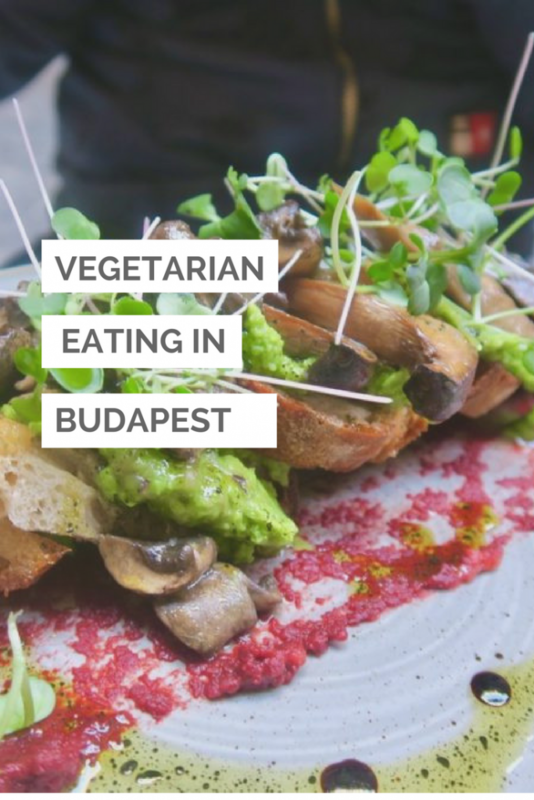 If chowing down on breakfast or lunch in this sunny little cafe isn’t enough for you, Greta also runs pop up cookery classes so you can learn how to master vegan cookery at home. 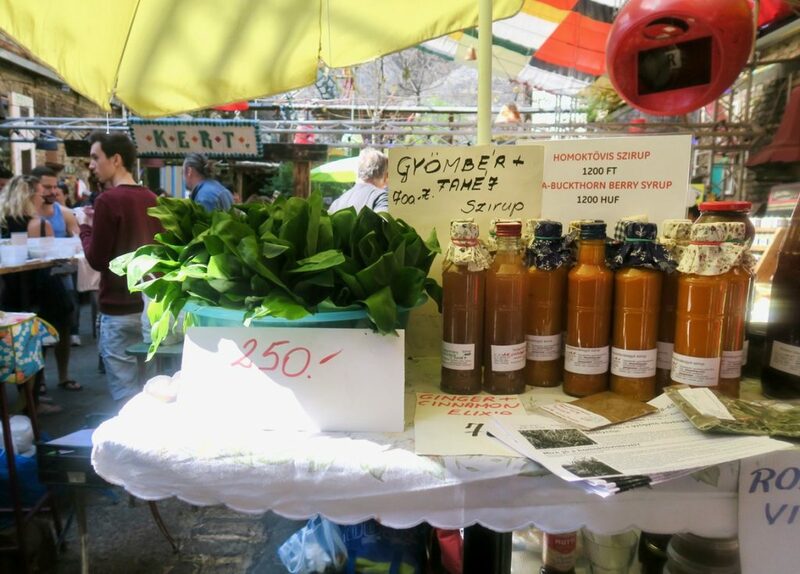 Szimpla Kert is a great ruin bar to grab a drink, but once Saturday’s party debris has been cleared it transforms into a local farmers market. Here you can pick up basic groceries such as vegetables, fruit, cheese, meats, dairy, baked goods, as well as other items such as dips, pickles, and preserves making it the perfect place to pick up picnic ingredients. If you want to eat in the market there is also a ‘community pot’ where a charity makes a few simple dishes, (such as sandwiches, soups and stews) where you ‘pay what you want’ with donations going to that week’s cause. It’s a great lively atmosphere accompanied by local musicians and a great way to spend a Sunday morning. 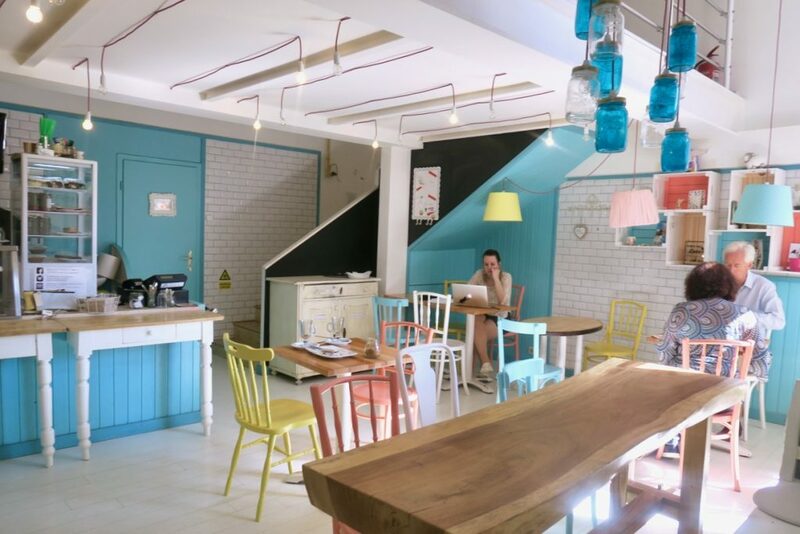 Quirky little coffee shop serving breakfast, lunch, dinner, and in the evening drinks. 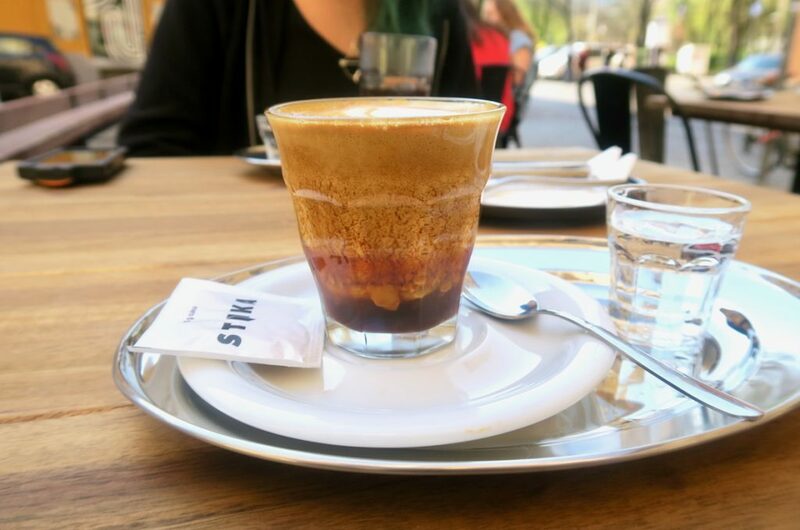 Right beside Klauzál tér square this is a great place to sit and watch the world go by and embrace the European pavement cafe culture. The menu is simple with baked goods, eggs and salad, but all are executed well and served quickly by friendly hipster waiters. 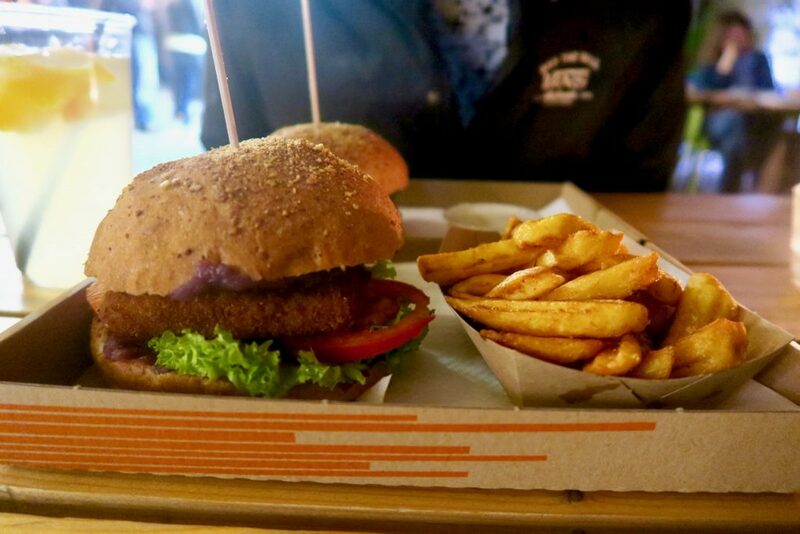 The first vegan burger food truck in Hungary and conveniently located next to popular ruin bar, Szimpla Kert. 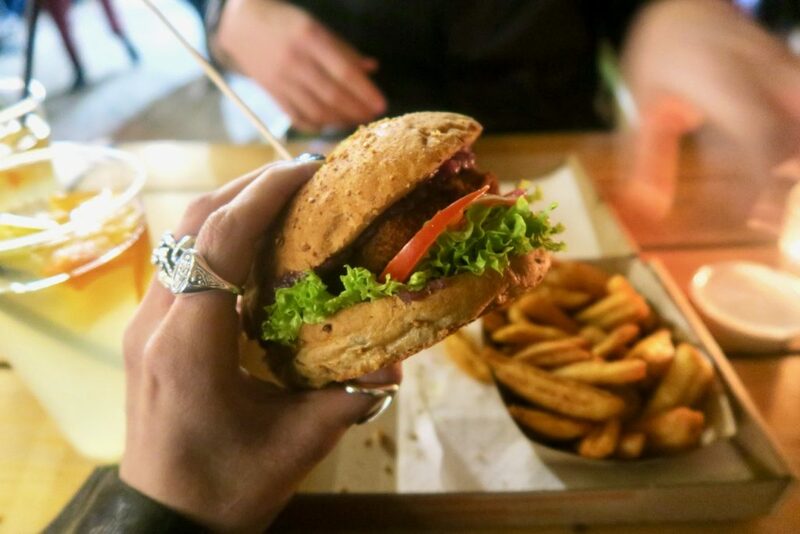 Far from your average bean burger Las Vegans offers up an eclectic variety of high quality vegan burgers including your more traditional carrot pattie, deep fried vegan cheese, sweet spicy soy burger, Indian chickpea burger and Thai burger. Pablo and I shared the gooey rich cheese burger and fragrant Thai burger which both went down an absolute treat. Like this post why not pin it for later? 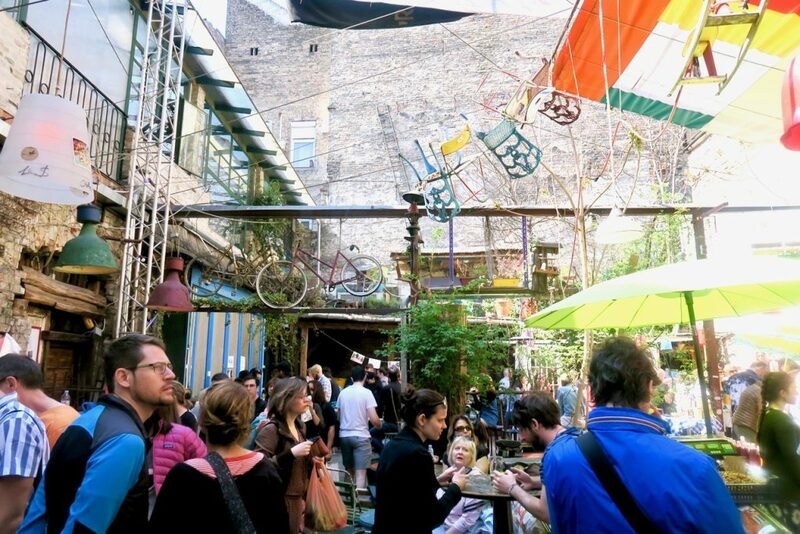 Fantastic post and one I will definitely be bookmarking should we ever make it to Budapest. Also, how brilliant is the name Las Vegans? (I love me a pun).